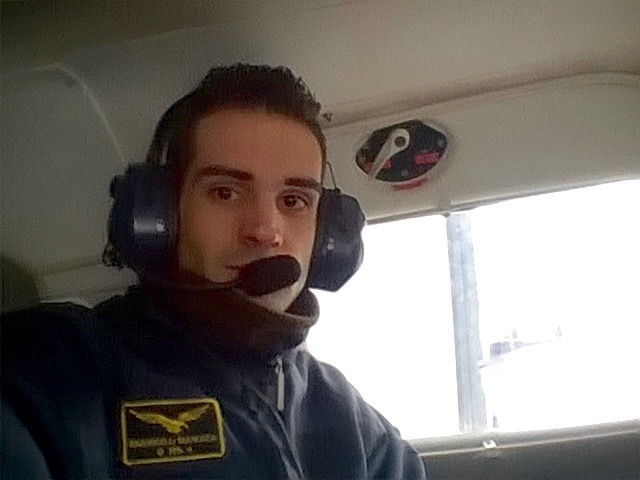 "They provided me with a lot of material to study before starting the course, so I was well prepared and I could focus mainly on the handling, which prepared me well for my simulator assessment"
Gianluca was offered a position with Ryanair just a few months after completing his training at VA. Since I was a kid, I have always been fascinated by aircraft. I began studying aviation related subjects in high school and started a PPL course at Urbe Airport, near Rome in Italy. After four years I got my ATPL and then spent six months living and working in London to improve my English language skills. In November 2015 I started the course at VA with Captain Rob Michie. After a few months I started the recruitment process for Ryanair and attended the interview and assessment in Dublin. Thanks to Rob's tuition, I succeeded during the assessment and I was offered a position by Ryanair. I start my 737-800 type rating in July. I would like to thank VA because as soon as I arrived the team made me feel comfortable, and I really enjoyed the hours spent in the simulator with Rob. They provided me with a lot of material to study before starting the course, so I was well prepared and I could focus mainly on the handling, which prepared me well for my simulator assessment. The interviewer acknowledged the level of my training and asked me where I did my training. Their simulator was the same as yours, so I felt very confident. The advice I would give to someone wanting to become a pilot is that before you start, you must have a clear idea of what you want and how to get it, then go for a school which is known in the aviation world, and use instructors who are currently on the line.